Yellow flowers like Vajardanti, Potentilla Cuneifolia,Taraxacum Officinale, Bitter wood, Blow ball, Common Dandelion, Dughdee, Kan Phuliya, Karatu,Caltha Palustris, Marsh Marigold, Shomalap and many more found in valley of flowers. Other Information The word Agyrophylla is from Greek words Argyros means silver and Phylla means leaves. Referring to silvery leaves. Flowering time June to August. Where will you find it in Valley of Flowers You will NOT find it in abundance in Valley of Flowers unlike its counterpart, the blood colored Vajardanti. But if you are lucky you may find some of them in the middle part of Valley of Flowers. Other Information The word Cuneifolia refers to Cuneate base means narrowly triangular, wider at the apex and tapering toward the base. Flowering time June to August. But ironiclly this picture was taken in mid September. You may find some rare flowers in September also. Other Information The word Brunonis refers to Robert Brown (1773-1858), a Scottish Botanist. Saxifraga is a large group of hardy perennial plants, of which a few are found in Asia. The name is an old Latin name derived from saxum, a rock and frangor, to break; the plant was thought to break stones in the bladder. Saxifraga brunonis is a herb 5-10 cm high which forms a creeping mat of pale green rosettes with loose panicles of yellow flowers. It has slender, red, leafless runners, terminating in a bud. Flowering time August to October. Local Name Dughdee, Kan Phuliya, Karatu. Where will you find it in Valley of Flowers You will find Taraxacum officinale in almost all places in Valley of Flowers. There is no such specific location. But this picture was taken near entry point of Valley of Flowers at Frozen River in June first week, 2012. Other Information Taraxacum Officinale is used in treating blisters, dysentery and wounds. Leaves are used in treatment of dislocation of joints. The word Taraxacum is derived from Talkh Chakok means a bitter herb and Officinale means a herb which is sold for its medicinal properties. Flowering time June to August. This picture was taken in the last week of May 2012. 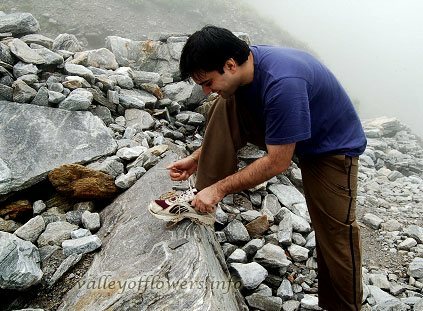 Where will you find it in Valley of Flowers You will find it on the banks of river, dump and marshy areas. Specially near waterfall in front of Valley of Flowers’ entry gate. Other Information In the United Kingdom, it is probably one of the most ancient native plants, surviving the glaciations and flourishing after the last retreat of the ice, in a landscape inundated with glacial melt waters. The Sap of the plant causes irritation to sensitive skin. 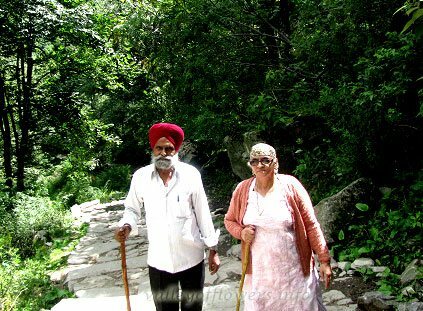 Where will you find it in Valley of Flowers This picture was clicked on the way to Hemkund Sahib in last week of May, 2012. In fact you can find it there only till June last. Other Information The word Leutea means yellow referring to bright yellow color of the flower. Local Name Bantil, Tillua, Rindliya. Other Information Its seeds are edible. Where will you find it in Valley of Flowers You can find its colonies in Valley of Flowers from July first week to mid July. After this you can see few flowers only till July last week. You can see this beautiful flower in the main part of Valley of Flowers i.e. just 300 meters from the official starting point of Valley of Flowers. Other Information The term Lilium is derived from Lirion which means lily and the term Oxypetalum is derived from greek words, Oxy means sharp and Petalum means Petals. You can see the sharp petals in above picture. Where will you find it in Valley of Flowers We have never seen this flower in Valley of Flowers although you can spot this flower in Village Mana near Badrinath. 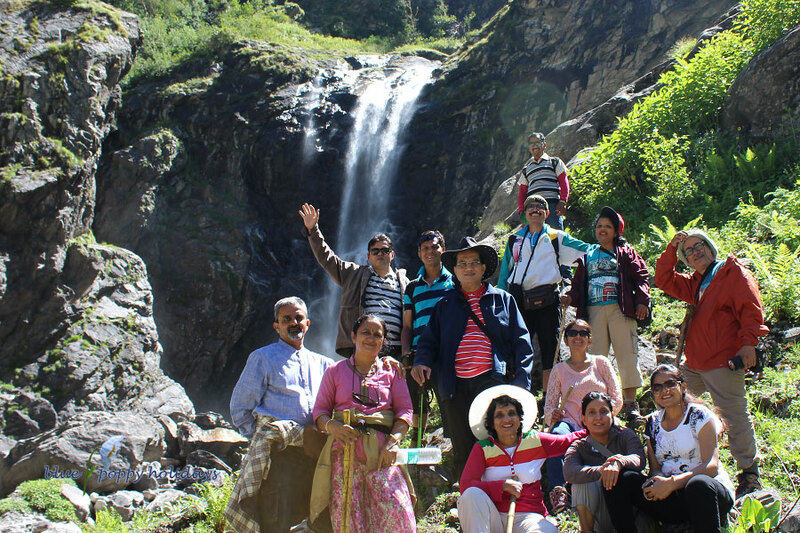 We take our group to Badrinath and Mana. Other Information Great Mullein has been used since ancient times as a remedy for skin, throat and breathing ailments. It has long had a medicinal reputation, especially as an astringent and emollient, as it contains mucilage, several saponins, coumarin and glycosides. Dioscorides recommended it for diseases of the lung and it is now widely available in health and herbal stores. Dyeing is one of the Non-medical use. Where will you find it in Valley of Flowers You can find this flower on the way to Govindghat to Ghangaria from July to mid August easily. Other Information Biflora means two flowered. Therefore it is also called as two flowered violet. Other Information It is locally called as kingor. Distributed from Pakistan, north west Himalayas, Kashmir and Nepal. Where will you find it in Valley of Flowers You can find Ligularia Amplexicaulis very easily in the deep forest just 200 meters from the entry gate of Valley of Flowers. 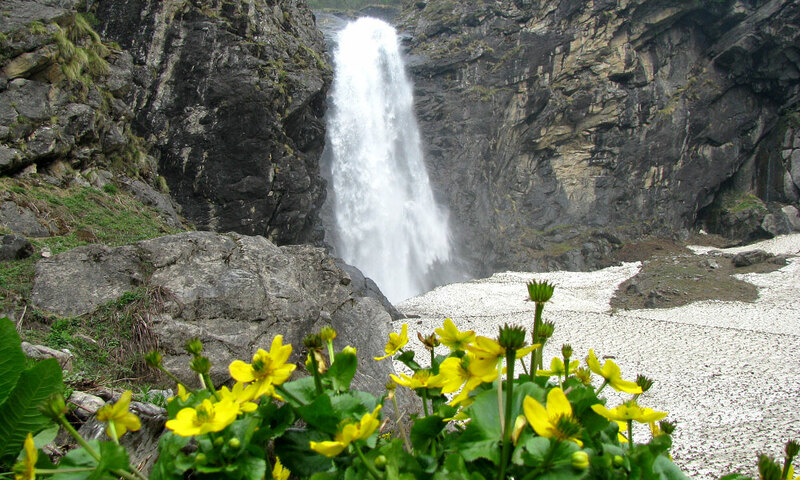 After crossing a frozen river (frozen till mid July) and walking for another 100 meters you can find many Ligularia Amplexicaulis flowers on both sides of your trek. After that you can easily spot this flower many times on your way towards and inside Valley of Flowers. You may spot few flowers on Pushpawati river bed also. This flower can be spotted easily from mid July to mid August. Other Information The stems, leaves and flowers are used in Tibetan medicine, they are said to have an astringent taste and a cooling potency. Digestive and emetic, they are used in the treatment of vomiting from indigestion. 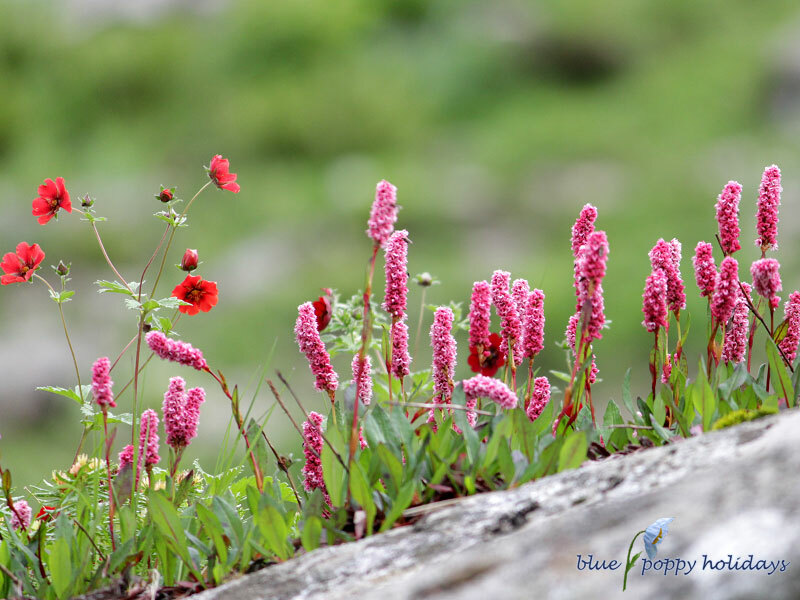 Where will you find it in Valley of Flowers This flower is found near streams in Valley of Flowers and on the bank of Hemkund Sahib lake. You can spot this flower very easily as prominent yellow color near streams (especially near Pushpawati River Bed) in Valley of Flowers. It makes landscapes very beautiful due to its color and large numbers near streams. Other Information The word Cornuta means bearing horns and spurs. Other Information The species name Arnicoides means resembling Arnica flowers, a fragrant plant belonging to sunflower family. Cremanthodium Arnicoides is found in the Himalayas, from Pakistan to China. Where will you find it in Valley of Flowers You may not find it in Valley of Flowers but you can find Erysimum Hieraciifolium very easily just after starting your trek from Govindghat to Ghangaria on both sides of your trek. If you take Helicopter instead of trekking from Govindghat to Ghangaria you may miss this flower and some of other flowers which are found only between Govindghat and Ghangaria. Other Information Young shoots and leaves are edible. 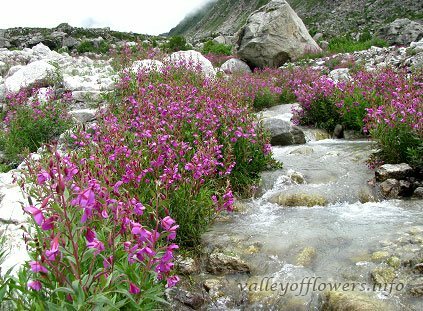 Where will you find it in Valley of Flowers You can find Pedicularis Hoffmeisteri very easily in almost all parts of Valley of Flowers. Provided you visit from 15th July to 15th September. 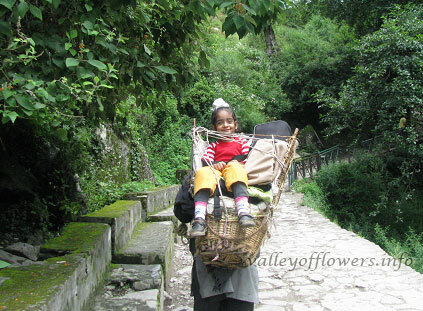 The flowers are very beautiful and they welcome you right from the entrance of Valley of Flowers. This picture was taken at Pushpawati River Bed. Other Information This is found at an altitude range of 2500-4500 m. This is called Haldya Phool because of its color. (In Hindi Haldya means turmeric). 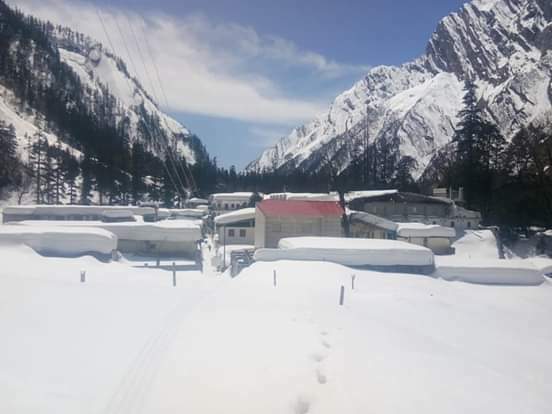 Where will you find it in Valley of Flowers This is generally found in less numbers as compare to it is found in Hemkund Sahib. 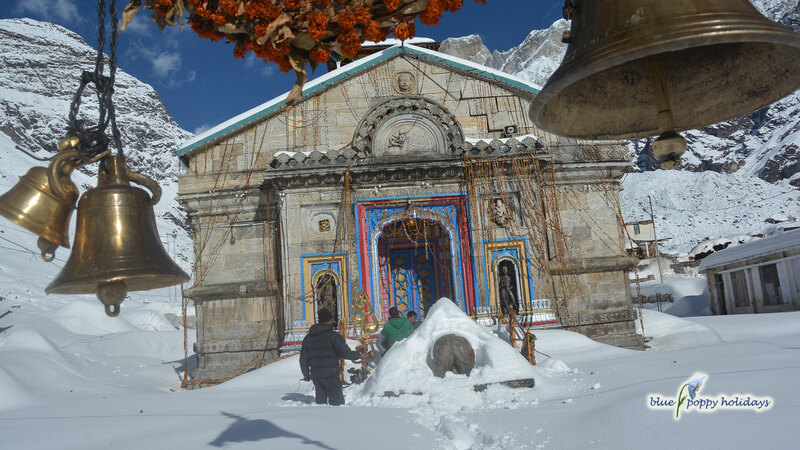 At Hemkund Sahib it is found almost everywhere specially near Saussurea Obvallata flowers. Other Information Rhodiola Imbricata is found at an altitude range of 3000-4000 m.
Where will you find it in Valley of Flowers You can find this flower after trekking for about two and half kilometers from the entry gate of Valley of Flowers till the official starting point of Valley of Flowers. Official start point is approximately 3 kilometers from the entry gate. Other Information This flower is found at an altitude range of 3000-4000 m.
Where will you find it in Valley of Flowers You can find Senecio Laetus in almost all parts of Valley of Flowers. This flower is visible mainly the month of mid July to mid August. Other Information Whole plant is used in the treatment of Body Swelling and Sore Throat. Where will you find it in Valley of Flowers You will find this flower in moist places specially in the dense forest near the entry gate of Valley of Flowers. The dense forest is 200 m. away from the entry gate. Other Information You will found this flower at an altitude range of 1800-3500 m. the whole plant is used in treatment of Asthma. Where will you find it in Valley of Flowers You can find Inula Grandiflora right from the entrance of Valley of Flowers. You will find its colonies near the entry gate and in the dense forest 200 m. from the entry gate. This flower is very common in first 2 kilometers from the entry gate. Other Information You will found this flower at an altitude range of 2000-3500 m. The word Grandiflora means grand looking flower. Quite frankly, being a tour operator myself, I was looking for information for my own website but after having surfed your website I found your website to be one of the most informative and comprehensive websites I have ever seen related with any particular subject. You must feel proud of yourself for coming out with such a detailed website as the comment is coming from none other but a tour operator. Sadly I saw your details today and even if I plan I guess it would be too late to come over for Valley of Flowers trip. I want to do a recce tour for my future guests and would love to work with you more closely for my inbound guests. Thanks for the complements, I would love to work with you. Wonderful! You work is remarkable! Thanks! Good detail post. please add at what altitude these flowers grow, it will be very informative. 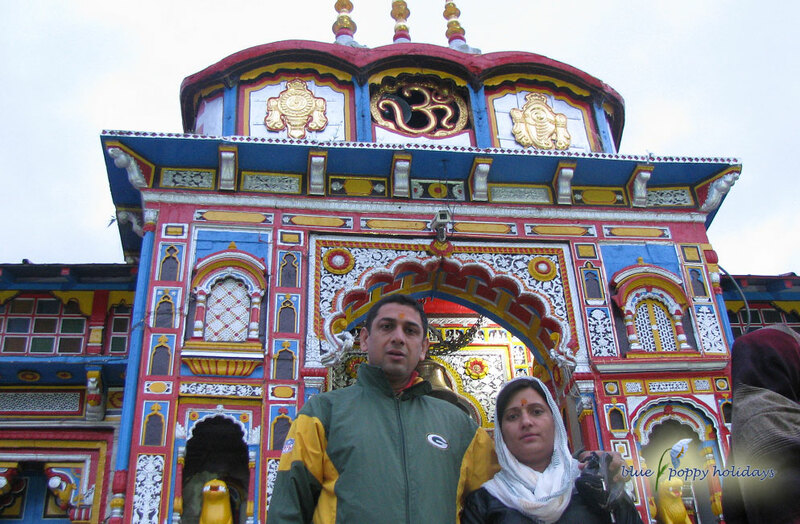 All these Pictures are taken at Valley of flowers or at Hemkund Sahib. 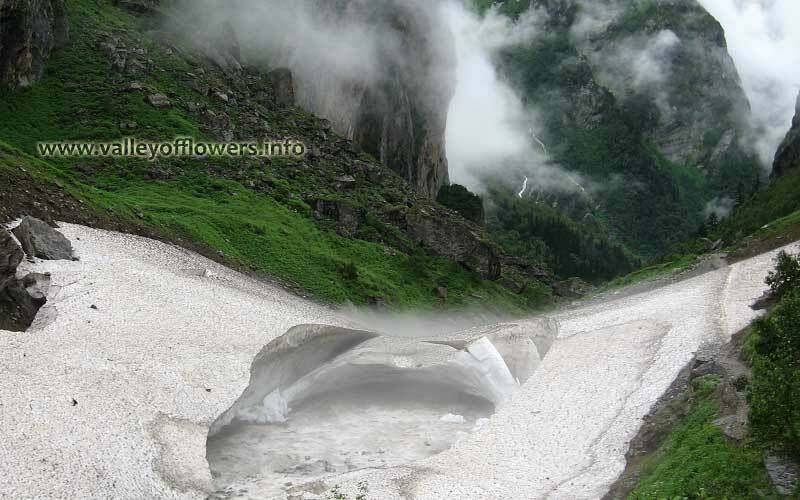 Valley of flowers is at a height varying 10500 feet to 12000 feet and Hemkund Sahib is at a height of 14000 feet. However I will update these tables as per your suggestion. Thanks for your valuable suggestion. We must try our best to come! Thanks a lot!